While Microsoft planned to release the Windows 10 OS in late July, the company was gaining a lot of positive reviews from around the world and there was a visible anticipation across the faces of each and every one who kept track of the activity from Microsoft. However, things were suddenly going to take an unexpected turn, as the Microsoft Mobiles division came out with a report that dented an otherwise perfect run to release for the OS. Microsoft Mobiles division had suffered losses up to the tune of $7.6 Billion, and as a result of this 7800 employees had to be let off. 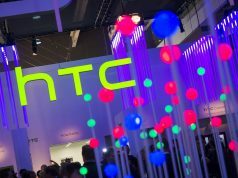 The company expected that the Nokia deal will give them a better opportunity to explore the mobile phones markets and that the Windows 10 Mobile OS is further going to enhance their market presence, but before all that, these reports were quite a shock. Microsoft took quick remedial efforts, and in October, many new devices were announced. 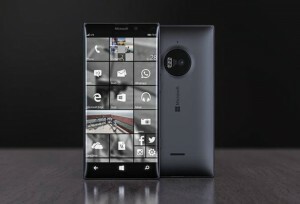 The highlight of the night however remained the latest phones from Microsoft – the Lumia 950 and the Lunmia 950 XL, which are acting as the leading devices for the Microsoft Mobiles division. 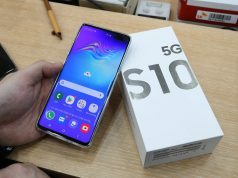 A lack of flagship was one reason the company determined was affecting their sales, and this time around the company did indeed come out with a decent offering. The Microsoft Lumia 950 and Lumia 950 XL both come with 3GB of RAM and 32GB of built in storage. Both the phones release into the markets with a strong battery backup and feature 20MP of primary camera and a 5MP wide-angled front camera. The phones both feature a camera button, and come with triple LED Flash. Both the phones showcase the latest of modern day features like USB C support, 4G LTE connectivity and continuum – a technology which is changing the way we use our computers. The devices also support liquid cooling technology, which keeps the processors from overheating. However the difference between the two devices is apparent when we take a closer look at things. Microsoft Lumia 950 comes with a 5.2 inched screen and runs on the Snapdragon 808. Here’s where the difference lies, as the Lumia 950 XL comes with a larger, 5.7 inched screen, and runs on the Snapdragon 810 – which is at the moment, the fastest processor known to man before the release of the Snapdragon 820. 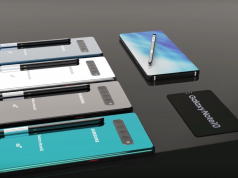 What are your views on the devices? Comment below and share your opinions with us. I’ve got a 950 XL since Xmas and before this phone, I was a Android user (Samsung Galaxy S1 and after that Samsung Galaxy Note 2)… The important thing to become happy with it: Create a new windows 10 profile and do not try to synchonize your old Win 8.1. That is possible, but you will run into trouble sooner or later. Just reinstall… that may take 15 Minutes depending on how many apps you used before, but it really is worth the time! After that, you should update the phone to the newest Firmware and Win mobile-release (which is a one click thing to do but will take a little time and needs wifi) and after that, it really is a great device. I love the camera, which is among the best out there if not the best (especially in low light siutations), I love the screen, which really is ultra-sharp and shows quite natural colors (and if you do not like that, you can even set it up in the settings), I like the OS for its nice and the very customizable start screen, the very fluid user experience I get out of the fast processor and huge amount of RAM. I added a 64 GB SD-card to it, since you can expand the disc space with SD-cards (you can go higher, but for now 64 GB + about 25 GB from the internal drive should be enough for a long time ;)). it should not do that anymore if battery life runs out, uninstall each app but skydrive (which makes sense) and so on. I have not yet tested Continium but if you know, that it can only run Universal Apps and expect that (like I do) it seems to be a very nice addition. The docking-station can be bought or for a limited time be ordered by an preinstalled app on the device with no additional costs. This is why I like the decission Microsoft made there… but this is just the choice I made… if you just like aluminium cases, this is not the right phone for you. If you can live with poly carbonat or leather you are not doing anything wrong. – The app store is not that big as the one from iOS or Android. That is still true, but in general you will find anything you need and it really is far from empty (I think there are 500.000 apps or a little over that… iOS and Android have about 3 times as many or more, if I am not wrong… on the other hand… who needs that?). However there is one exception for now (the app is planned as I heard but not yet available): SnapChat. If you heavily rely on that, Windows Mobile is not yet the right Mobile OS for you. – The iris scanner is not that good as the one of the Surface 4 for instance. We will see if they can fix that, but it means, that you have to hold the phone in certain distance and till now, the distance is not optimal for me… it have to hold the phone a little too close to my face for now… I assume, this can be overcome by a software update, but till now it is that way. These are my 2 cents on the Lumia 950 XL.